RECOMMENDED READING: This unique Vacheron Constantin Don Pancho is coming up for auction. The big question is, how much will it go for? Vacheron Constantin is famous for its ability to create custom or one-off watches for clients (to learn more about their Les Cabinotiers department, click here). 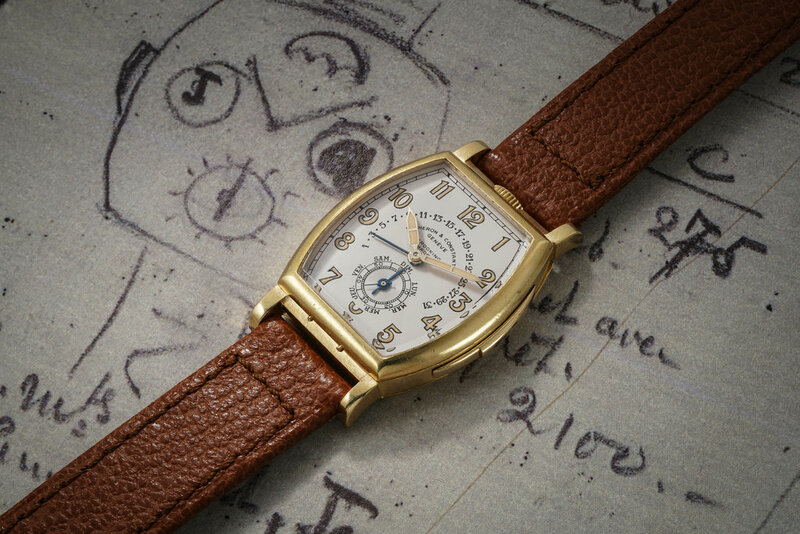 And given the brand’s exceptionally long history, it should come as no surprise that Vacheron Constantin has been making custom pieces for a long time indeed. Phillips is auctioning off one such piece at their Geneva auction, a piece unique from the 1930s known as “Don Pancho”. This watch was the first to feature the combination of minute repeater, calendar and retrograde date, and is, by happy coincidence, undeniably stylish. It’s an interesting auction lot. Because while it has undeniable provenance (it’s been in the same family for the last 70 years), and is historically significant, it’s also sporting a remade dial. The estimate is between 400,000 and 800,000 CHF, but really, it could go anywhere. I guess we’ll find out in May. Find out more at The New York Times.